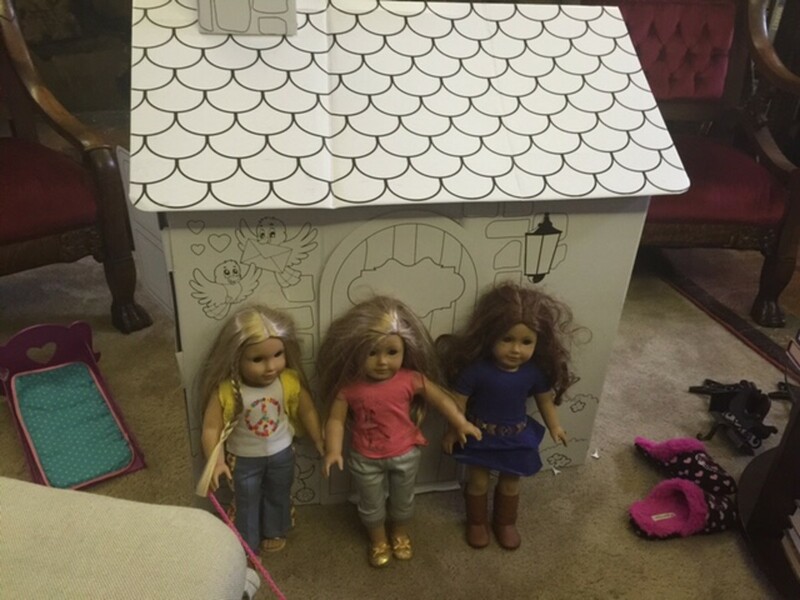 Dollhouses are perfect gifts for little girls! Are you considering giving the little girl in your life a dollhouse as a gift for Christmas, her Birthday or another special occasion? Dollhouses are perfect gifts for little girls and there is a reason they have always been among the most popular toys for little girls since they were first created in the 17th century. They are educational, interractive, open ended and fun toys, allowing for creativity and imagination and will help children socialize, spend countless happy hours playing family on their own or with their friends and sibblings recreating the happiness and security of their real-world home and grow up to be lovely mums and wives (and wonderful husbands and daddies, because little boys love to play with dollhouses too!). There are lots of wonderful wooden dollhouse models to choose from, depending on the age and tastes of the child the gift is intended for, and most importantly on your budget. Browse through this lovely collection of dollhouses and I am sure you will find one which will make your little girl's dream come true! 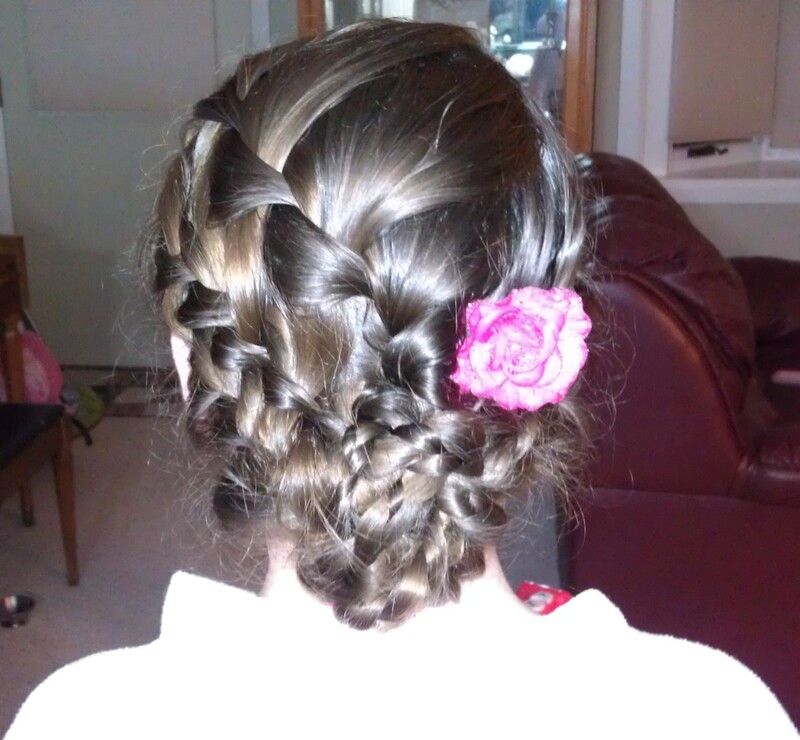 Your little girl will be ecstatic! With a five star average on all customer reviews, this model is probably the best Kidcraft has to offer and excellent value for money. It is huge (51 x 14 x 52.8 inches), as you can see in the introduction picture, and more than one children can play with it together. It has eight large rooms, includes 34 furniture pieces and accessories in real wood, a working elevator connecting the second and third floor and a large garage. The best thing is that it is large enough to use with Barbie dolls! Very sturdy and easy to assemble in 2-4 hours. Beautiful, high quality wooden miniature with very real looking details. 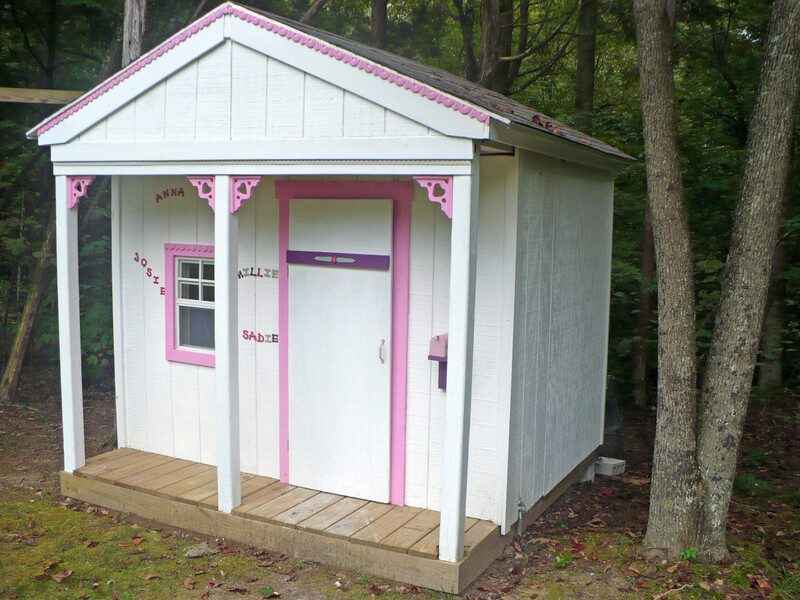 It is quite large (28 x 18 x 26.5 inches) with five rooms and does not include dolls or furniture. It requires adult assembly. According to the manufacturer, it is suitable for children aged 6-10, although according to most consumer reviews, older children find it more attractive to play with. I can still remember how thrilled I was when my Uncle who used to live in America, brought me my first dollhouse, at the age of six. 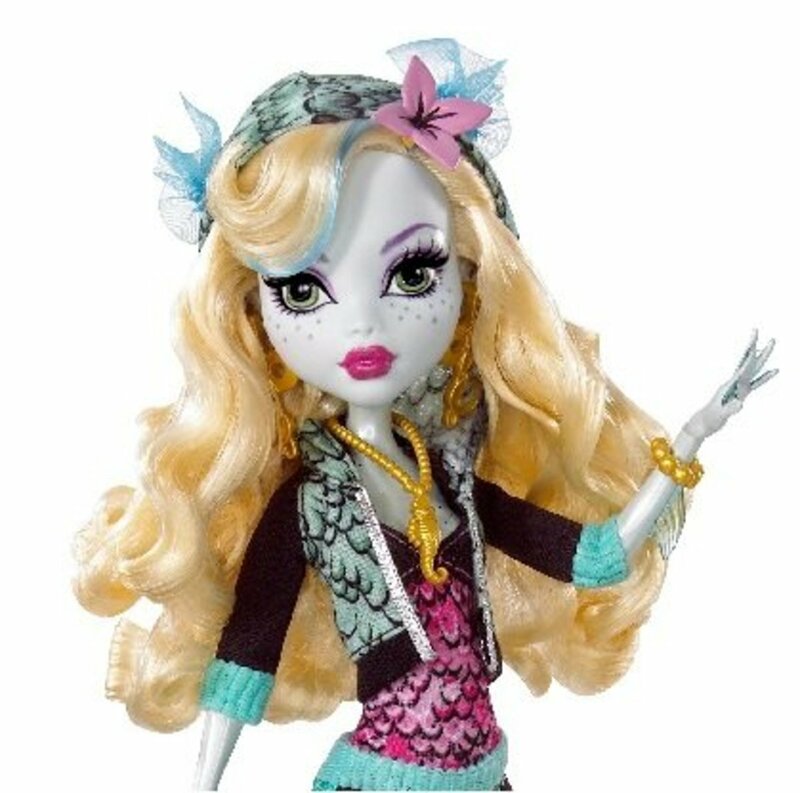 It was a really big, marvellous pastel construction and I was the only one of my friends to have such a wonderful toy! I still remember badgering my Grandma to knit rugs for every room! 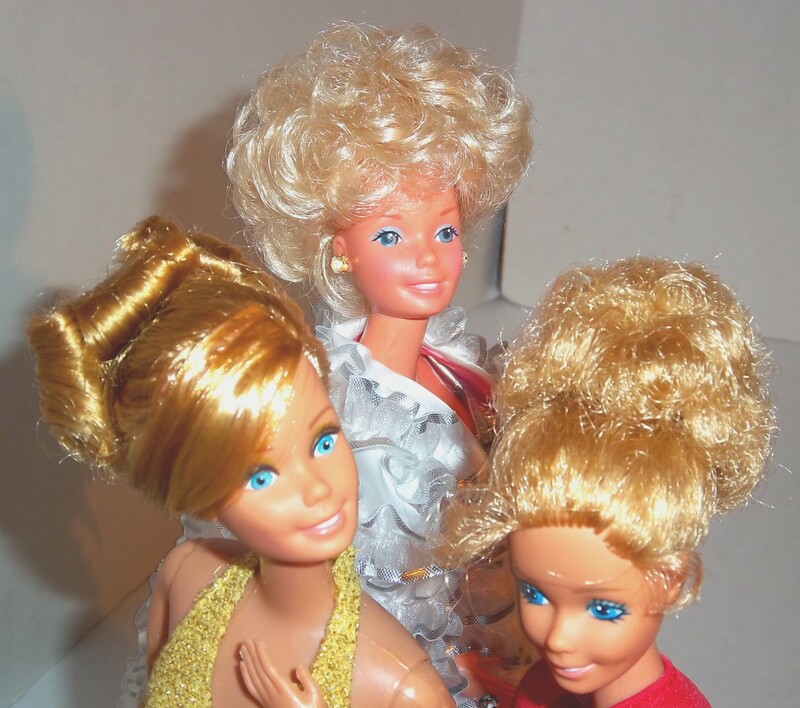 According to most manufacturers, doll houses are targeted to children between 3-8 years old but I was still crazy about mine until after the age of 11! There are hundreds of styles and prices for these lovely miniatures, ranging from very basic, sturdy plastic or wooden constructions for very young children, to really fancy multi-storey pieces for older children and even vintage collector's items for grown-up Peter Pans and Wendies!! Large Wooden Dollhouse - More room to play! Another lovely wooden miniature which features five large rooms and includes nineteen pieces of wooden hand-painted furniture with working drawers and doors, as well as two movable staircases and five working exterior doors.The dimensions are 25x 6.8x 22.2 inches and according to the manufacturer the dollhouse is best suited for children aged 3-10 years. Did you know that by observing a child playing with a dollhouse you can get important information about her/his emotional/psychological stability? Actually, when children recreate reality in their make-believe world, they are essentially accepting and endorsing the laws and rules governing society and family life. For example, when your daughter plays at being mummy and scolds or punishes her dolls for being naughty, she is actually accepting and propagating the principles on which her parents are running real family life. Ready made dollhouses are fine if they are meant as a gift for younger children or if you are on a tight budget. However, for older children, or even as heirloom collector's pieces which look like exact replicas of real architectural styles, I would definitely suggest you consider investing in a dollhouse kit which you can assemble and finish on your own. It certainly requires much more effort and a fair level of DIY skills, but I believe the end result is quite stunning. Featured here are a few of the Walton series dollhouse kits by Melissa and Doug. 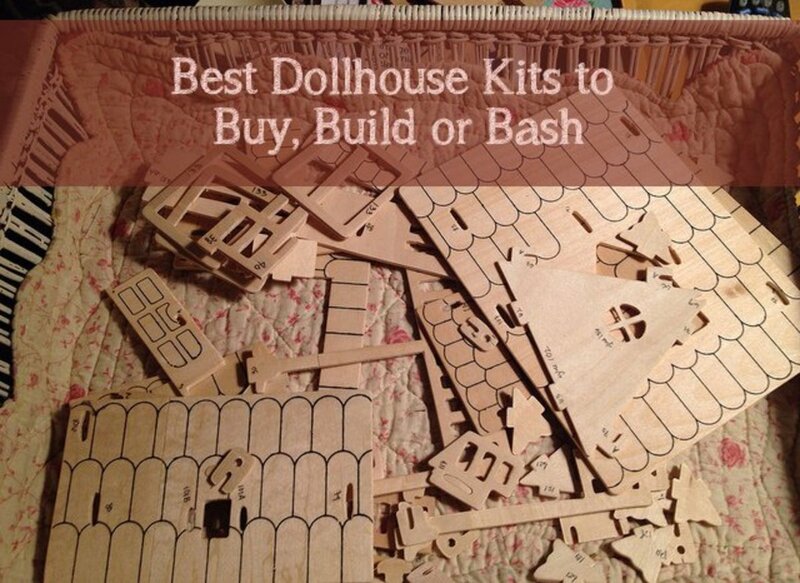 For more options on vintage wooden dollhouse kits, click here. What's your choice? 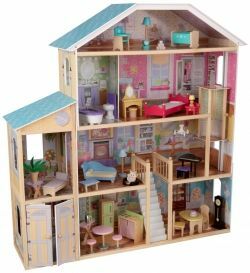 A ready made dollhouse or a dollhouse kit to assemble on your own? Do you like dollhouses? Did you have one as a kid? Please leave a comment!